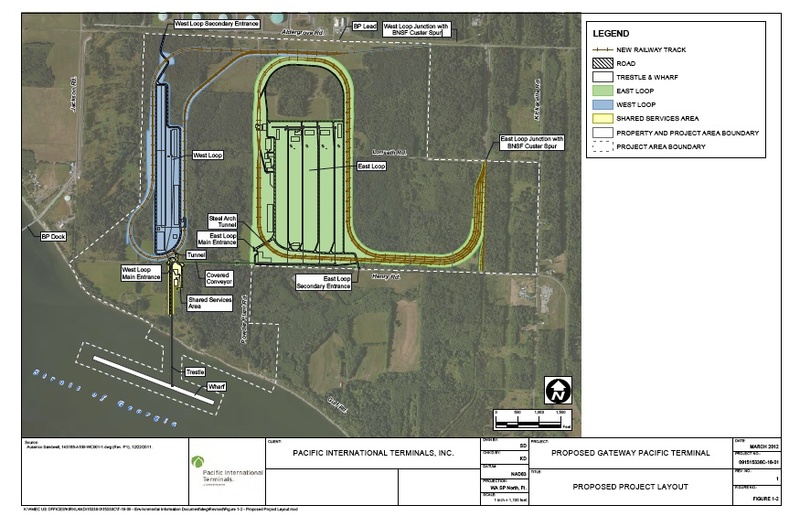 Some conservative Whatcom County Charter Review Commissioners have scoffed at the notion that one of the main goals of the conservative Charter Review commissioners is to try to stack the 7-member County Council toward a favorable permit decision for the Gateway Pacific Terminal (GPT), a 48 million ton per year coal export terminal proposed at Cherry Point in Whatcom County, Washington. 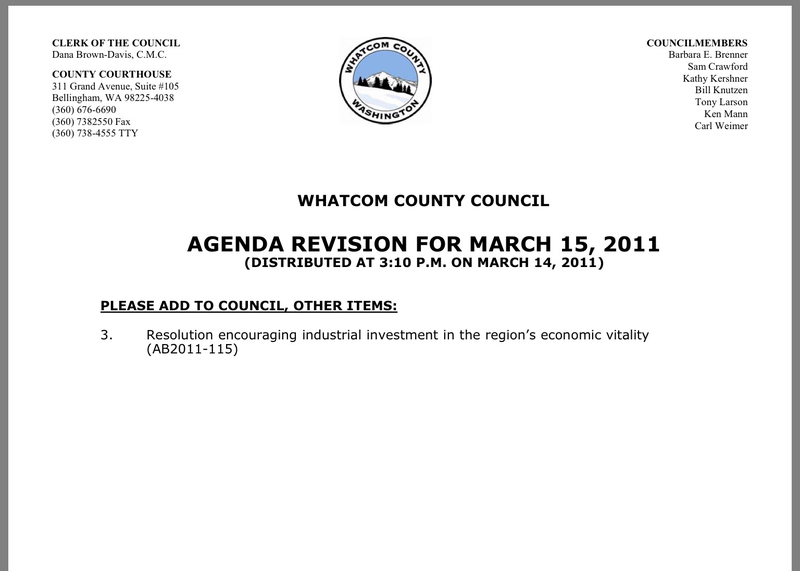 However, public records obtained from Whatcom County, seem to support that notion. The quote below was written by Whatcom County Charter Review Commissioner Chet Dow, in an April 18, 2015 email he sent to Ellen Baker, a prominent member of the Whatcom Tea Party. 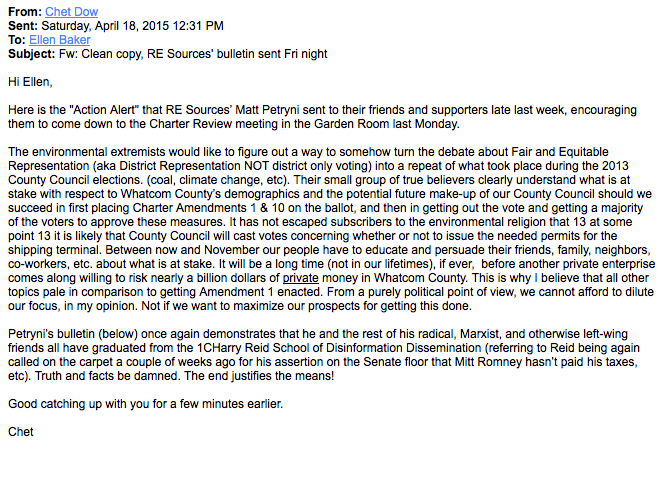 Dow’s email was about an April 9 “Action Alert” bulletin that had been sent out by Matt Petryni, Clean Energy Program Manager for RE Sources for Sustainable Communities, a Bellingham-based non-profit environmental education and advocacy organization. The April 9 bulletin had encouraged supporters of RE Sources to attend the April 13 Charter Commission meeting and to speak out in opposition to Amendment 1 [now Proposition 1 on the November 2015 ballot] which proposes district-only voting for County Council elections. ‘Radical, Marxist, and otherwise left-wing friends. . .’ Oh my! Dow forwarded the RE Sources bulletin to various conservatives asking them to show up, and asking them to ask their friends to show up, to the April 13 Charter Commission meeting, also requesting they speak in support of Charter amendments 1 and 10. 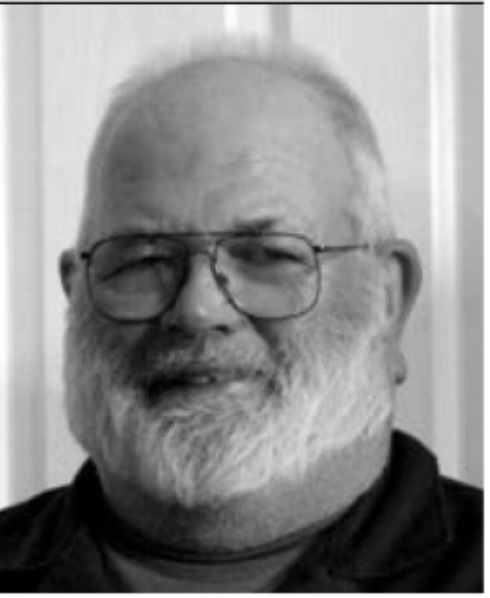 Chet Dow is one of fifteen commissioners who make up Whatcom’s Charter Review Commission, a governing body that only comes up for election every ten years in the county. The commission can propose amendments to the county charter and make recommendations to the Whatcom County Council. Amendments approved by the commission are then forwarded to the election ballot of that same year for voters to approve or reject. Commissioner Chet Dow used the terms, “extreme environmentalists” and “true believers” to characterize RE Sources, and likely to characterize those citizens of Whatcom County who subscribe to protecting the health of northwestern Washington’s people and ecosystems. RE Sources has also been involved with the opposition side of the GPT project that is proposed by Pacific International Terminals (PIT), a subsidiary created for the project by SSA Marine (SSA). The belief, shared by many opponents of GPT, that commissioners wish to affect the make up of the Whatcom County Council by pushing forward their proposed Amendment 1 for “district-only” voting, stems from the fact that coal terminal interests were not successful in the 2013 election in getting their four preferred conservative candidates voted onto the County Council, candidates who were also thought most likely to approve a needed permit for GPT, which the County Council will weigh-in on. Commissioner Dow’s statements from his April 18 email mentioned above certainly add to the foundation for that belief. 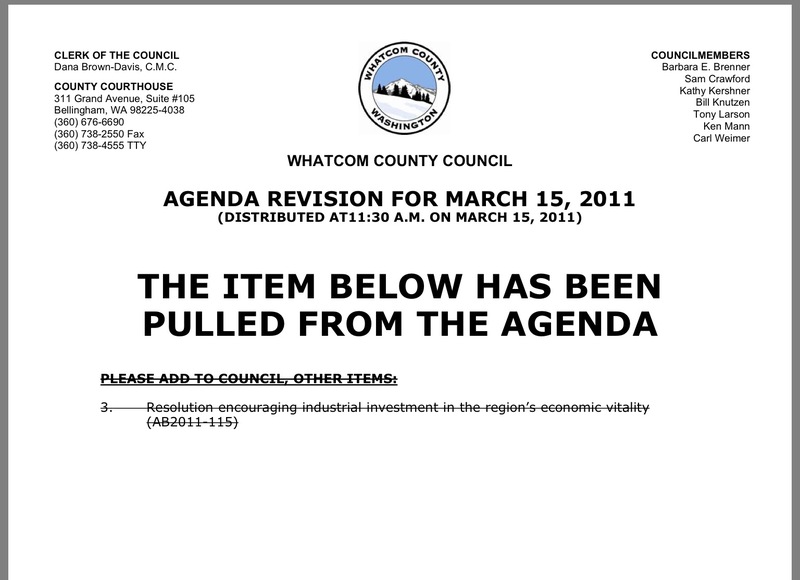 During the 2013 Whatcom County elections, according to the Washington Public Disclosure Commission (PDC) website, SSA/PIT, BNSF (the railroad that would transport the coal from the Powder River Basin to GPT), coal companies and coal terminal interests dumped $149,000 into the affiliated pro-GPT political action committees, SAVEWhatcom and Whatcom First. SSA/PIT and BNSF also contributed money ($30,000 from PIT and $10,000 from BNSF), by way of the Washington State Republican Party which funneled money to the Whatcom County Republican Party, which then funneled money to each of the four conservative County Council candidates. This data adds even more fuel to the idea that Charter Review Commissioners are acting, at least in part, with an agenda in line with those of coal interests. 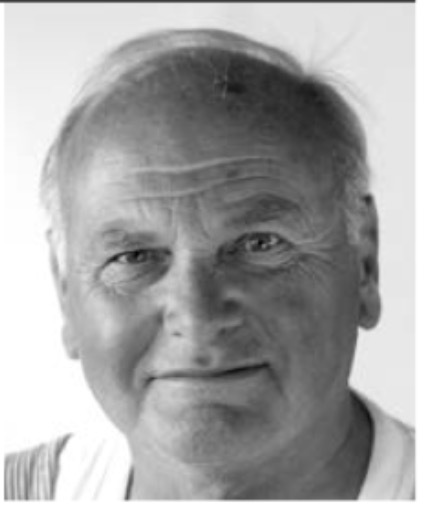 Commission Chair Ben Elenbaas was one of the four conservative candidates who were backed by coal terminal interests for the 2013 County Council election. According to PDC records online, he received the benefit of tens of thousands of dollars in independent expenditure advertising by the coal interest-funded SAVEWhatcom/Whatcom First PACs. He also received monetary contributions from the Whatcom County Republican PAC, and from the Washington State Republican PAC which had received contributions from coal terminal interests. 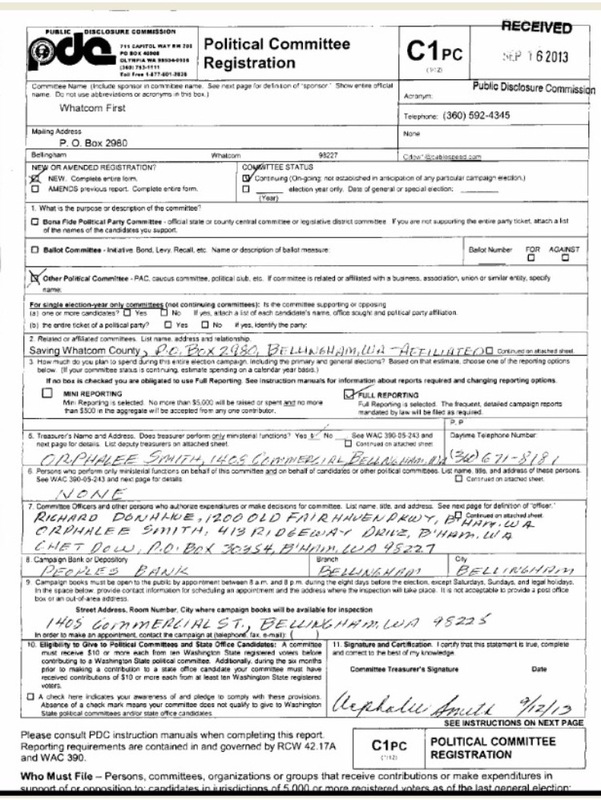 Commissioner Chet Dow was listed as a Committee Officer on the September 16, 2013 registration form for coal terminal- funded Whatcom First PAC. 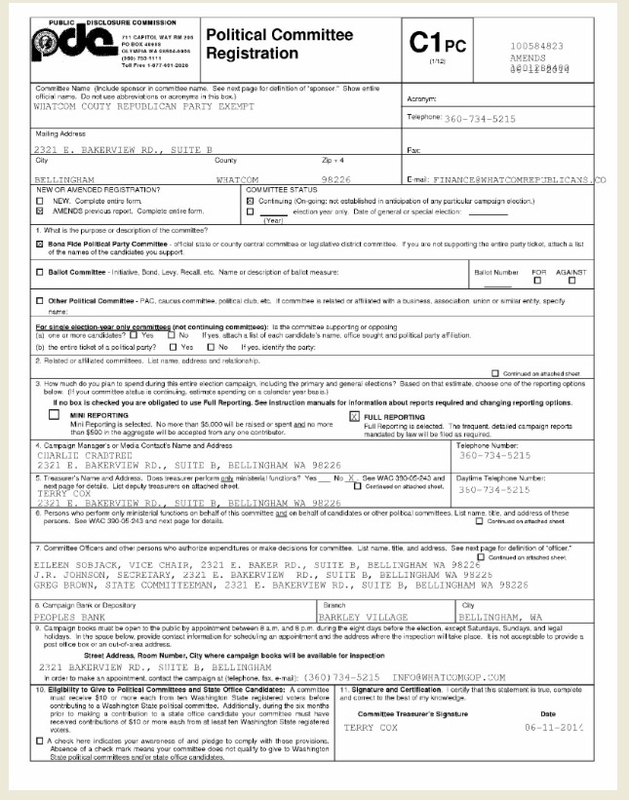 The PAC registration form was amended on May 29, 2014 and Chet Dow’s name was removed from that form. Additionally, Dow was speaker number 44, testifying in support of the GPT project, at the Ferndale November 29, 2012 EIS scoping hearing for GPT. 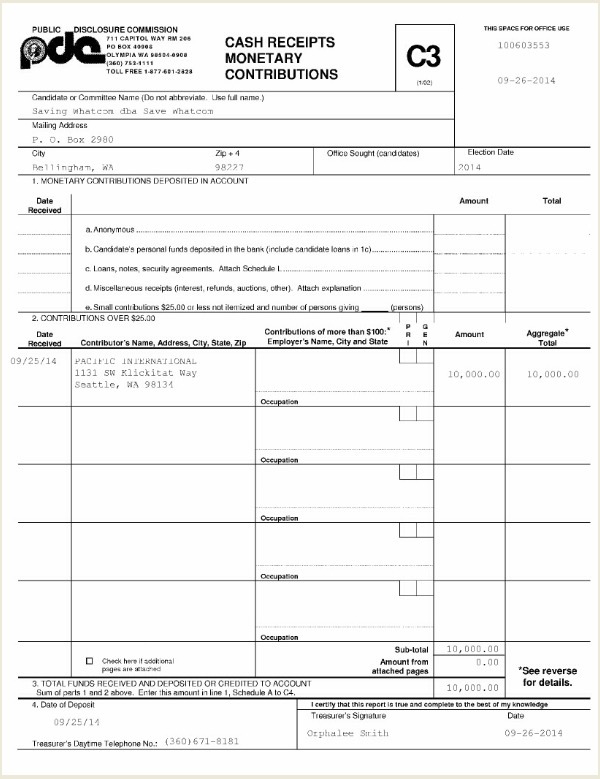 Commissioner Eileen Sobjak is listed as a Committee Officer on the Whatcom County Republicans Party PAC registration form and that PAC was a conduit between coal interest money and conservative candidates running for County Council in the 2013 election. 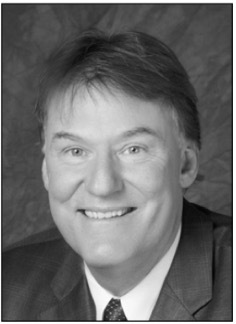 Commissioner Ken Bell was a recipient, in 2013, of independent expenditure advertising by the coal interest-funded SAVEWhatcom/Whatcom First PACs, spent toward his Port of Bellingham Commissioner campaign. Commissioner Wes Kentch was speaker number 31, testifying in support of the GPT project at the Ferndale November 29, 2012 EIS scoping hearing for GPT. 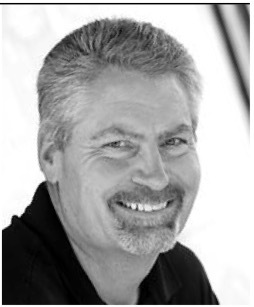 Commissioner John Mutchler is a Ferndale City Council member who is currently running for mayor of Ferndale. On April 4, 2011, Mutchler, along with six of the seven Ferndale City Council members (Lloyd Zimmerman was absent), voted yes to approve a resolution in support of SSA Marine and its GPT project. Ben Elenbaas, Chet Dow, Eileen Sobjak, Ken Bell, Wes Kentch and the rest of the conservative commission members (except Jon Mutchler) all received the benefit of independent expenditure advertising toward their 2014 Charter Review Commission campaigns from SAVEWhatcom/Whatcom First PACs, after those PACs had received $10,000 from GPT applicant, SSA/PIT. 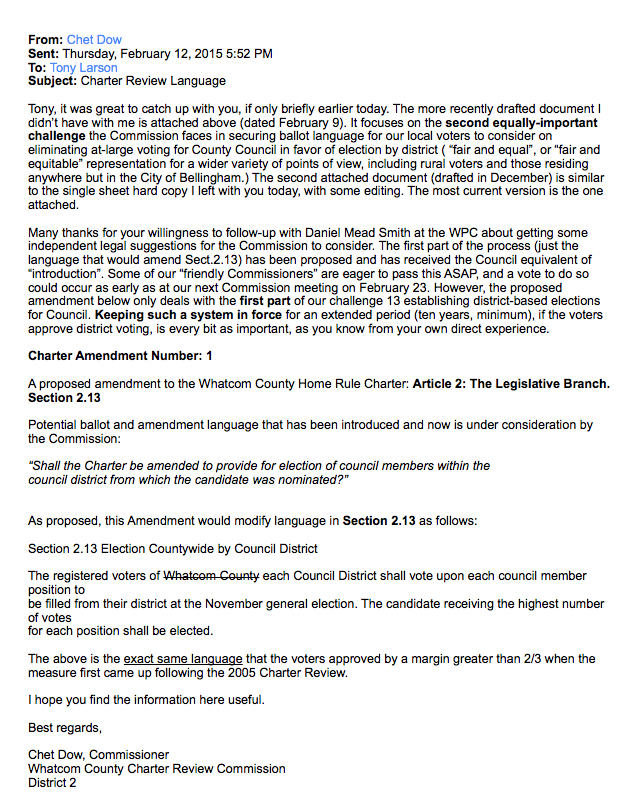 Evident in Commissioner Dow’s Charter Review Commission email communications, is the huge effort he and the Whatcom Republican Party, of which he is an Executive Board member, have put into ensuring that Amendment 1, proposing district-only voting for County Council members in the general election, will be placed on the November ballot. 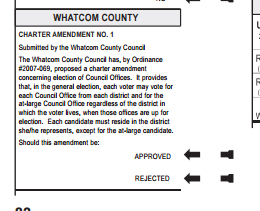 If Amendment 1 [Proposition 1] were to be approved by Whatcom voters, that would mean each voter would only be allowed to vote for the council offices representing the district in which the voter resides, and the at-large council office when those are up for election. District-only voting would result in disproportionately minor representation for the city of Bellingham. For thousands of voters in Whatcom County, four out of seven of the County Council candidates would effectively be made off-limits. In his email to Larson, Dow included an attached document with three amendments which he said had been drafted back in December 2014. The date on the attachment with the drafted amendments that Dow included in his email to Larson was December 9, 2014. No specific reference was made by Dow as to exactly who had drafted those three which eventually became Charter amendments 1, 3, and 10 [that have become Propositions 1, 2, and 3 respectively on the November 2015 ballot]. Tony Larson, and his WBA, have been staunch advocates for the project. His GPT advocacy dates back four plus years ago. Some local residents may remember in 2011, then-County Council member Larson had introduced a resolution to the Council that would have resulted in the County Council supporting SSA Marine and endorsing its GPT project. That resolution had been added to the Council Agenda on March 14, and then it was withdrawn the next afternoon prior to the Council meeting due to the Council’s future quasi-judicial role in whether to grant a permit to the project, and due to the fact that the County would be one of the co-lead agencies for the environmental review for the GPT project. 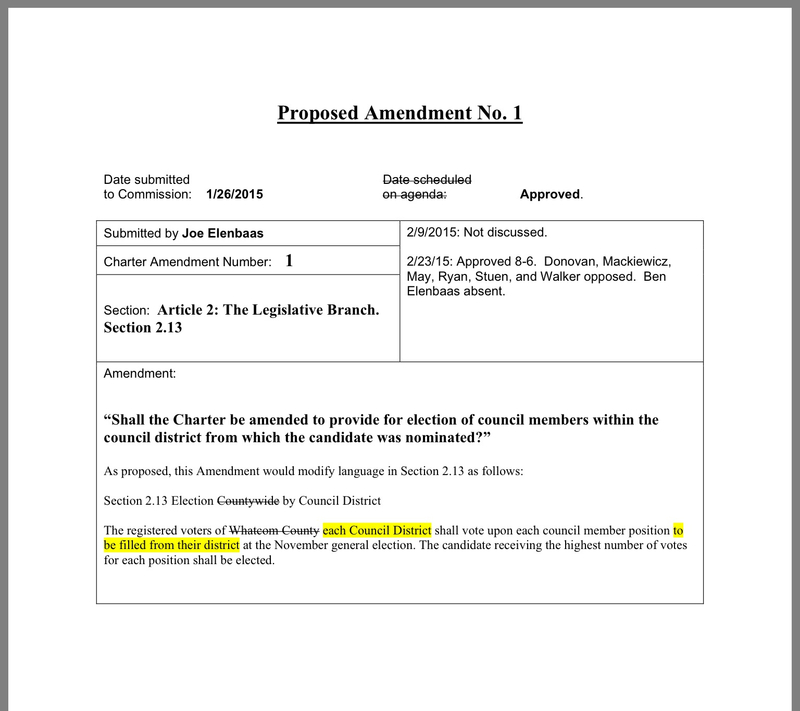 Only two weeks after their January 12, 2015 swearing in, the conservative Charter Review commissioners’ plan of attack on the current county-wide election system in Whatcom began with Vice chair Joe Elenbaas’ submittal of Amendment 1 on January 26. Next was a one-two punch: Chair Ben Elenbaas’ submittal of Amendment 3 on February 9, followed by Chet Dow’s submittal of Amendment 10 on February 23. These three amendments were all approved by the commission within thirty days of their submittal dates. Amendment 1 (district-only voting), arguably an extremely important issue for Whatcom residents, only received approximately 15 minutes of discussion by the commission before Chair pro tem Joe Elenbaas called for a vote. After some progressive commissioners questioned such a quick call for a vote, Joe Elenbaas reluctantly allowed for a bit more debate, which lasted approximately 7 additional minutes, and then he again called for a vote. Amendment 1 was approved 8-6 (Ben Elenbaas was absent) with the conservatives having asserted their majority successfully. 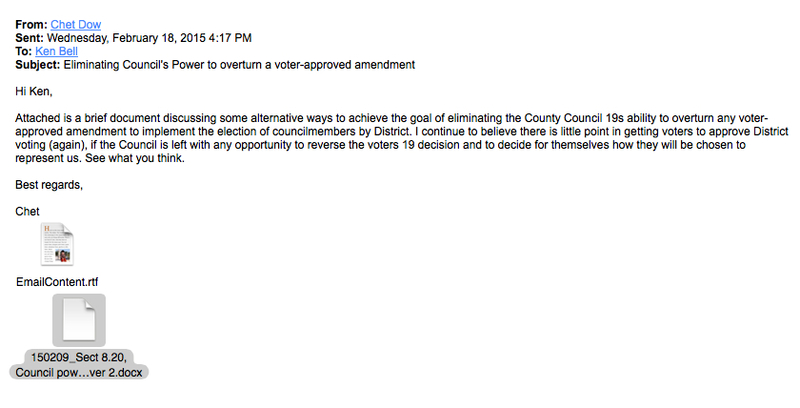 The district-only voting issue was debated/discussed by the commission for only about 22 to 23 minutes total. Amendment 3 seeks to prohibit the County Council from proposing charter amendments on matters that have been approved by a 2/3 majority (called a supermajority) of voters, and Amendment 10 seeks to prohibit the County Council from proposing and enacting any ordinance to amend sections in the charter pertaining to County Council elections. The first part of the process (just the language that would amend Sect.2.13) has been proposed and has received the Council equivalent of introduction. Some of our friendly Commissioners are eager to pass this ASAP, and a vote to do so could occur as early as at our next Commission meeting on February 23. However, the proposed amendment below only deals with the first part of our challenge 13 establishing district-based elections for Council. Keeping such a system in force for an extended period (ten years, minimum), if the voters approve district voting, is every bit as important, as you know from your own direct experience. What Chet Dow fails to distinguish is that the County Council cannot “reverse the voters’ decision.” What the County Council can do is what it did in 2007 after many voters in Whatcom County were unhappy with district-only voting after the 2007 election. District-only voting had been approved a decade ago when the 2005 Charter Review Commission forwarded an amendment for district-only voting onto the November 2005 ballot, and it was approved by voters at that time. On November 20, 2007, County Council member Barbara Brenner proposed a Charter Amendment for countywide voting to the County Council. On December 4, 2007, the County Council adopted an ordinance to place Charter Amendment 1 for countywide voting, on the 2008 general election ballot. 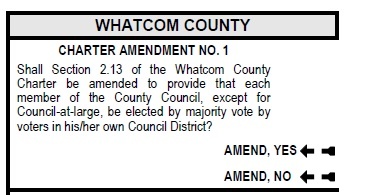 In the November 2008 election, Whatcom voters approved Amendment 1, and returned to countywide voting. County Council member Barbara Brenner and others have maintained that the reason the district-only voting amendment was approved by voters in 2005 was because the amendment language on the ballot for that amendment had not been clearly stated. One should also note there was no voter handbook for the 2005 election, and then for the 2008 election, there was a voter handbook provided. 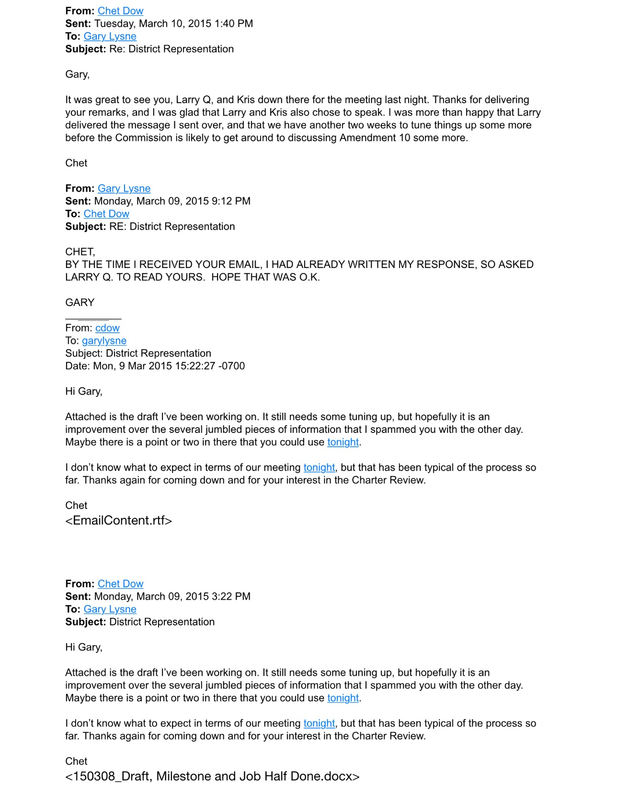 Chet Dow, in his zeal for district-only voting and the instrument/s to bolt that in place indefinitely, sent many email communications to Republican and Tea Party conservatives relating to his, and his fellow conservative Charter commissioners’ efforts to attain that goal. Dow’s zealotry caused him to have acted in ways that appear to be less than ethical, such as his March 9 email he sent to Gary Lysne, a 2005 conservative candidate for County Council who some may remember from his “How Will Gary GET ER DONE” campaign webpage. In his email, Dow attached a document he drafted which discussed what he called the “important milestone” reached on February 23 when the commission approved Amendment 1 (district-only voting). He wrote: “It is important, however, to recognize that with this step, the Commission’s job is only half done.” Dow also wrote: “In order for the people to ensure that representation by district remains in effect for a meaningful period of time, the Charter Review Commission must also allow the voters to remove Council’s current power to amend Charter Section 2.13. [emphasis and italics are Dow’s]. The intent of Proposed Charter Amendment No. 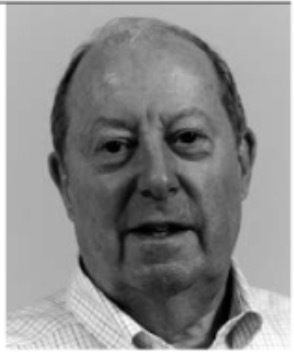 10 is to do just that, and complete the ‘second half of the job’ as referenced above.” Dow told Lysne in his email that he could use a part or parts of his attached draft for a public comment at that evening’s March 9 Charter Commission meeting. The audio recording of the meeting minutes for the March 9 commission meeting reflect that Larry Quinlivan read the comment word-for-word that Commissioner Chet Dow had written. To all appearances, the commissioners listening to that comment would have had no idea that the comment delivered verbally to them by Quinlivan was actually drafted by a fellow commissioner. 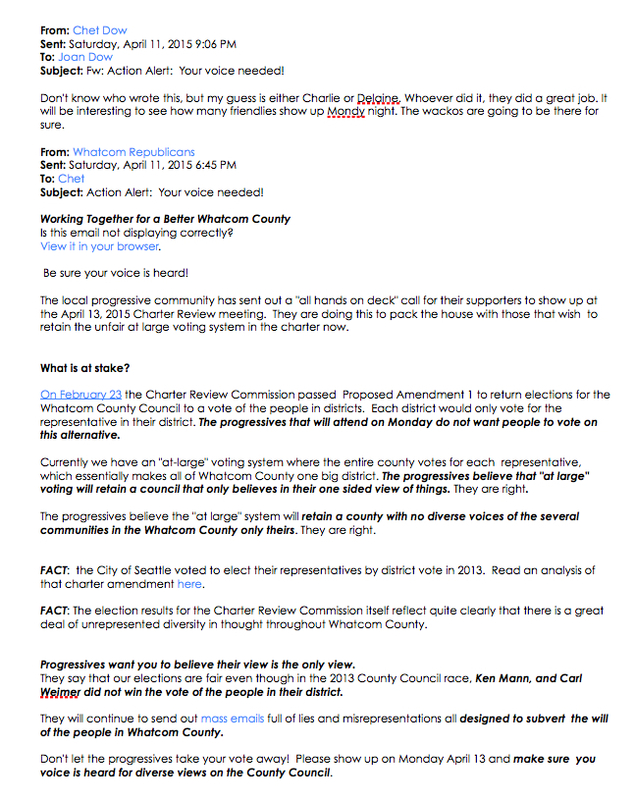 It is clear from reviewing email records, that Chet Dow has been using his Charter Review Commissioner position and parlaying his Whatcom Republican Party board position to organize, rally, and campaign for support for numerous proposed Charter amendments which can alter our county charter. Coal terminal interests’ agenda aligns well with the agendas of the local Tea Party and Republican Party conservatives. Those shared agendas include things such as pushing back against environmental regulations relating to land use and what seems to be an effort to lessen or even disregard treaty rights and tribal sovereignty. Then, to the good fortune of these conservative groups, coal terminal interests have lots of money with which they can fund candidates and ballot measures. Add to that the fact that many individuals who are members of these conservative groups own businesses which stand to make financial gain from the construction and operation of the GPT. It would not be difficult to conclude that coal terminal interests, conservative and Tea Party interests, property rights interests, Building Industry Association interests, Washington Association of REALTORS® interests, certain Agriculture/farming interests, anti-tribal treaty rights and anti-sovereignty rights interests, can share a number of similar goals such as lessening regulations, or preferring a conservative majority on the Whatcom County Council. And the money and power behind the coal terminal fuel some of those similar goals. To date, the current Charter Review Commission has turned out to be a vehicle for coal terminal interests to facilitate their goal of placing the “right” individuals onto the County Council who will then be most likely to render the favorable land use decisions which many groups desire for various reasons. One of those land use decisions the County Council would make is on the permit needed for the GPT project, and, that is how a typically obscure Charter Review Commission election and process has gained the spotlight, and has turned into a critical battleground for so many. This entry was posted in Blog Post, Commentary, Information and tagged Ben Elenbaas, Chet Dow, Gateway Pacific Terminal, GPT, Jon Mutchler, Pacific International Terminals, SSA Marine, Tony Larson, Wes Kentch, Whatcom Business Alliance, Whatcom County, Whatcom County Charter Review Commission. Bookmark the permalink.